SING is an absolute MUST SEE family movie full of comedy, a heartwarming story, and nonstop fantastic hit music that will appeal to all ages. When a great storyline pairs with amazing music, it’s a homerun in my book and a movie you’ll want to see over and over again! My entire family was wild about SING when we saw it in theaters this past December and we can’t wait to view it again. SING Special Edition hits on digital on March 3rd and Blu-Ray on March 21st. 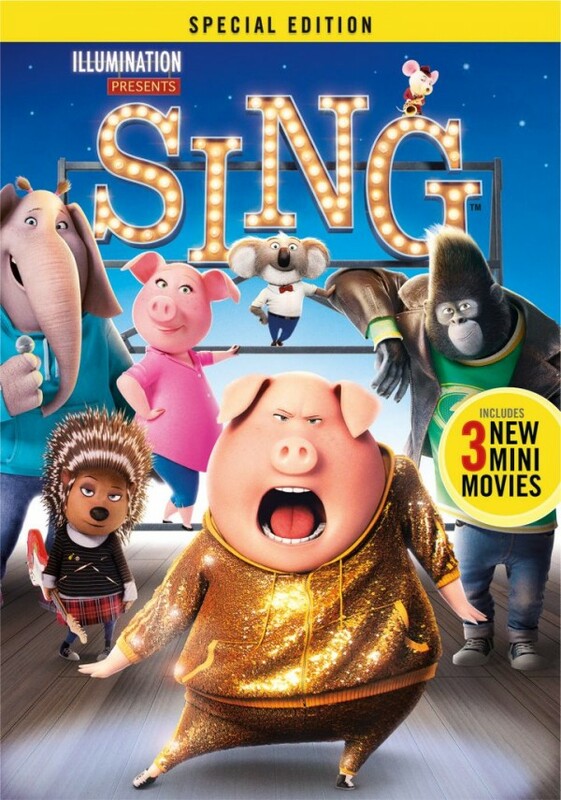 Did you know SING features more than 65 hit songs including ‘Faith,’ a brand new song by the legendary Stevie Wonder (featuring Ariana Grande), marking his first song for a major film release in 25 years??? The Sing Special Edition will include over 60-minutes of bonus content, PLUS three all-new mini movies and an exclusive Tori Kelly music video and a handful of other musical extras. Woohoo! 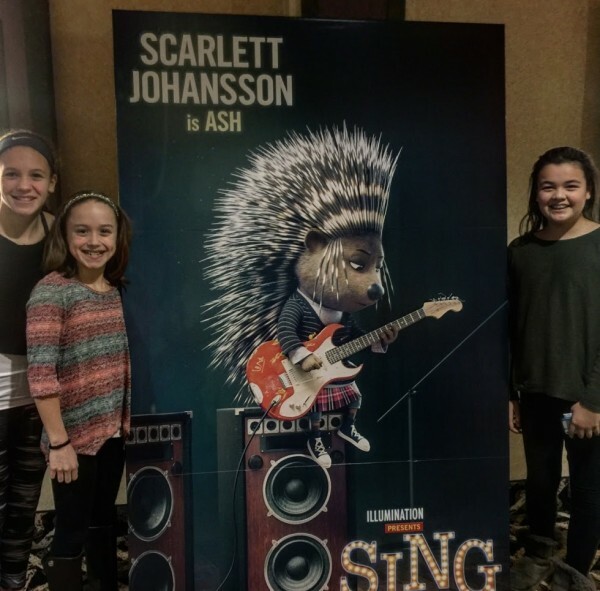 My kids, husband and I absolutely adored the hilarious and very likeable characters – and aspiring musical artists – in SING so it will be great to get another 60 minutes with this comedic and musically talented cast. 60 more minutes!!!! That’s a lot of extra entertainment. 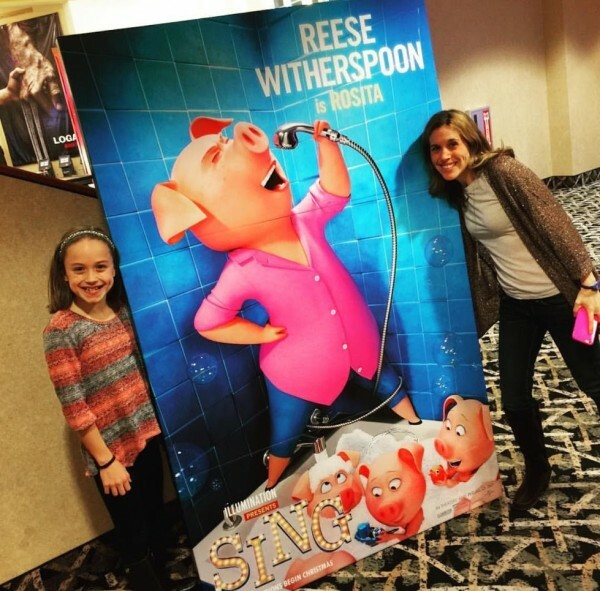 Here’s some fun photos we took when we went to see SING with friends at the Classy Mommy movie night I hosted in Philadelphia. From Illumination, the studio that brought you The Secret Life of Pets and the Despicable Me franchise, comes an animated comedy about finding the music that lives inside all of us. SING stars Academy Award® winner† Matthew McConaughey as Buster Moon, an eternally optimistic koala who puts on the world’s greatest singing competition to save his crumbling theater; Academy Award® winner Reese Witherspoon as Rosita, an overworked and unappreciated mother of 25 piglets desperate to unleash her inner diva; Scarlett Johansson as Ash, a punk rock porcupine with a beautiful voice behind her prickly exterior; Taron Egerton as Johnny, a young gangster gorilla looking to break free of his family’s felonies; as well as Seth MacFarlane, John C. Reilly, and Grammy Award-nominated Tori Kelly. SING is the musical comedy event of the year! 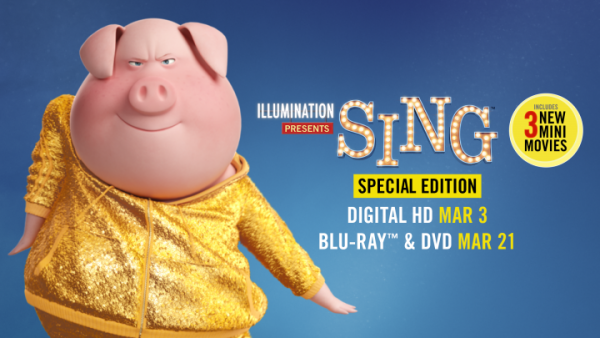 Catch the SING Special Edition when it hits on digital on March 3rd and Blu-Ray on March 21st.